We often read about people taking over the natural habitat of other species but it is rare to come across a case where the animals come back and reclaim their territory from us. Yet this is exactly what has happened in San Francisco. Local Californian Sea Lions have always been present in the city’s bay but had been pushed out to Seal Rocks, a small formation at the north end of the Ocean Beach. 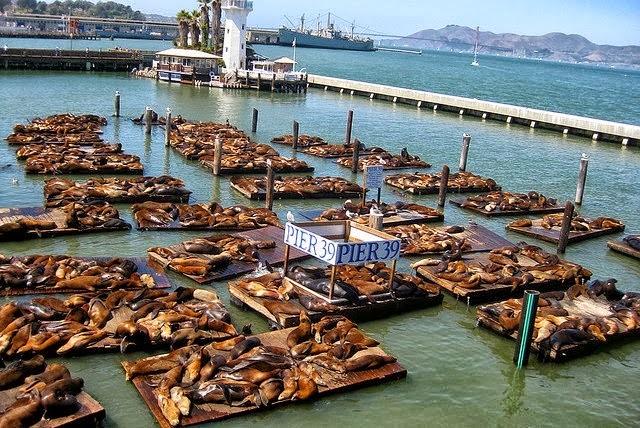 Pier 39’s K-Dock was developed and opened in 1978. Little did we know that the sea lions also had their eyes on this particular piece of seaside real estate.